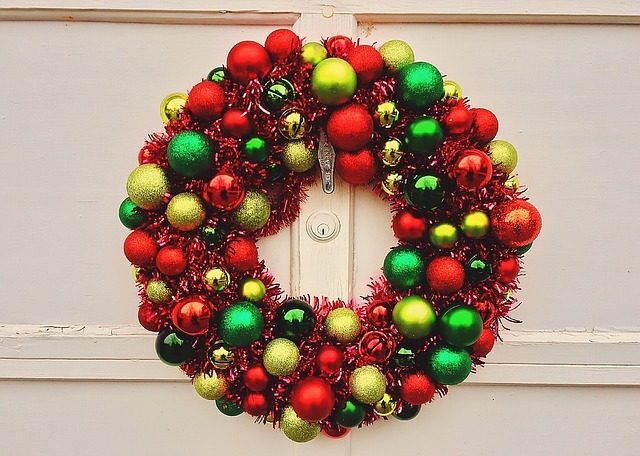 Christmas wreaths are everywhere now as they are the most common element for holiday decor, especially for the front or entry door of a home. But where does this tradition come from and what is the symbolism behind it? 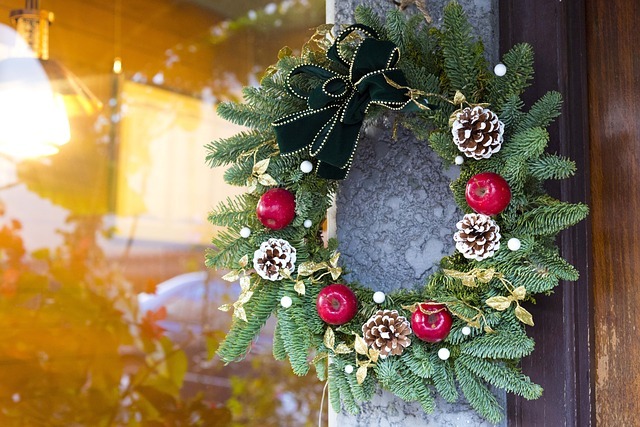 In my early learning about Greek history and traditions, the wreath known as ‘kotinos’ was made out of bay branches and was a symbol of victory and accomplishment. 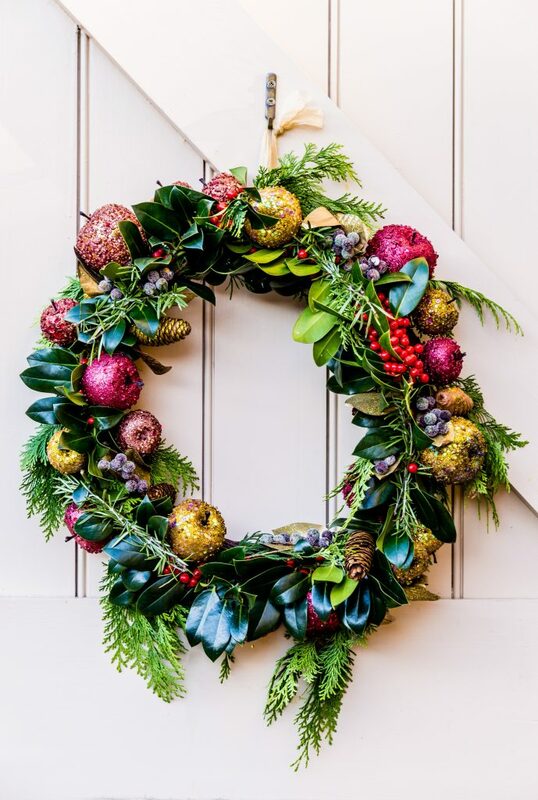 In the Olympic Games, the winners were honored with a crown of interlocking branches of fresh, aromatic bay laurel or wild olive sprigs, and on some occasions with wreaths decorated with flowers and fruit. In Greek mythology, Apollo was represented wearing a laurel wreath on his head. 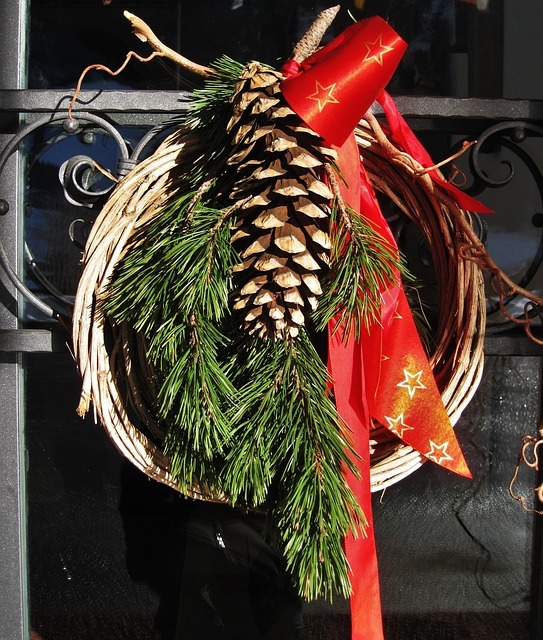 In other traditions wreaths, especially made out of pine and cones, are a symbol of good luck and prosperity. The addition of fruit and spices also symbolize a season of good harvest. 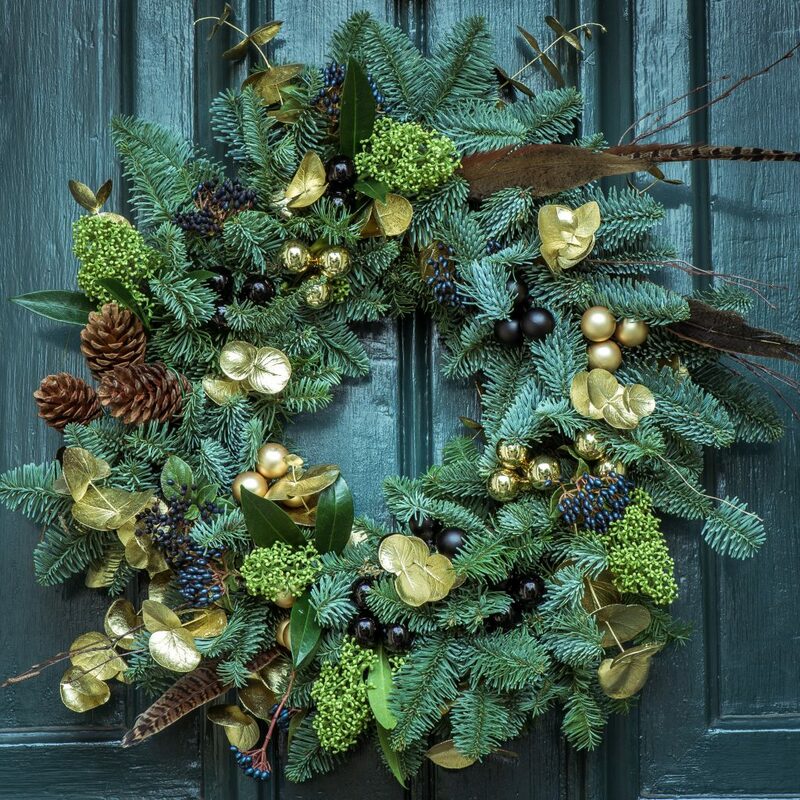 Wreaths made out of evergreens, spruce, holly, cedar and fir represent memory, hope, renewal, and everlasting life. Sometimes all it takes is to add a few ornaments and some ribbon, and the joyous effect is there. 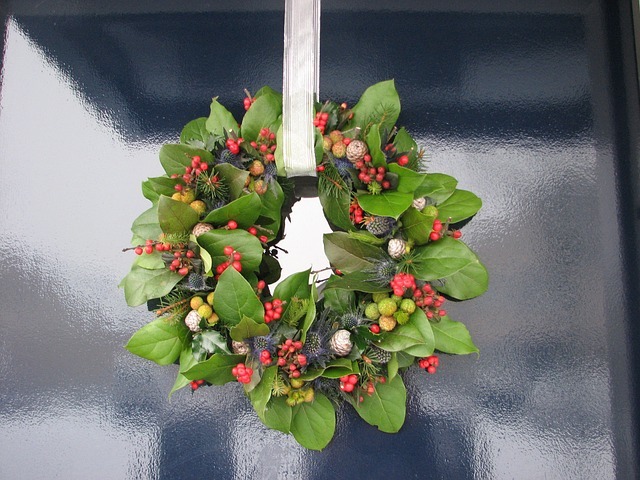 Other times wreaths are made as simple as putting together some seasonal leaves. 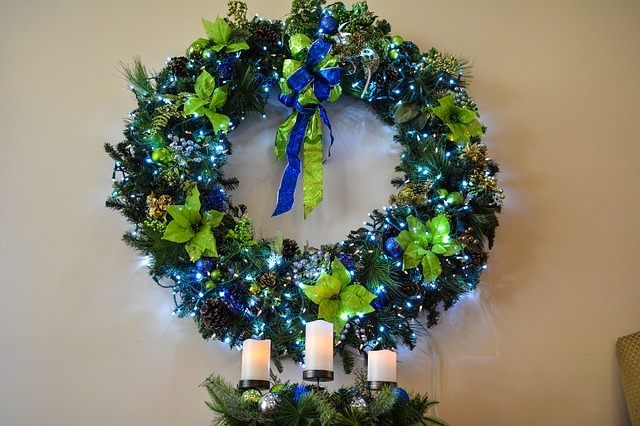 If lights are doable can make your wreath look so dreamy! 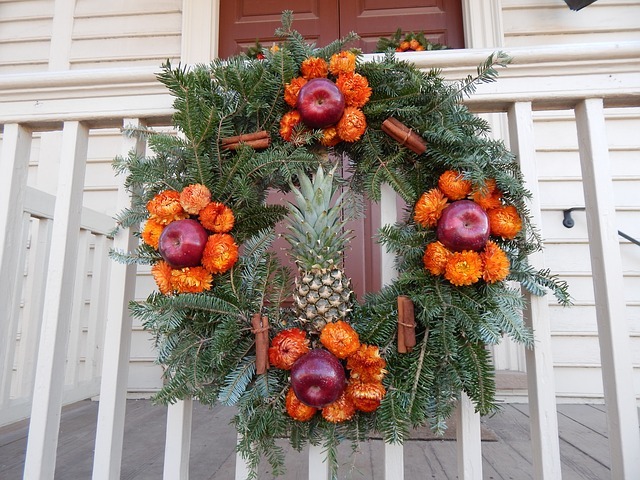 Fruit adds to wreaths more color and a sense of richness. 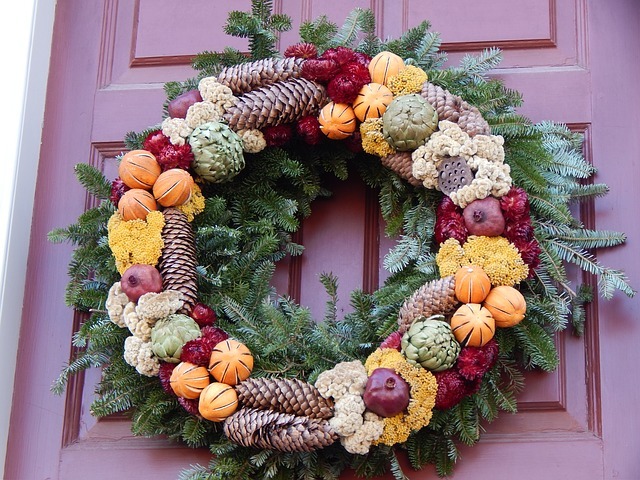 Vegetables mixed with fruit give the wreath a fullness of life and another dimension. 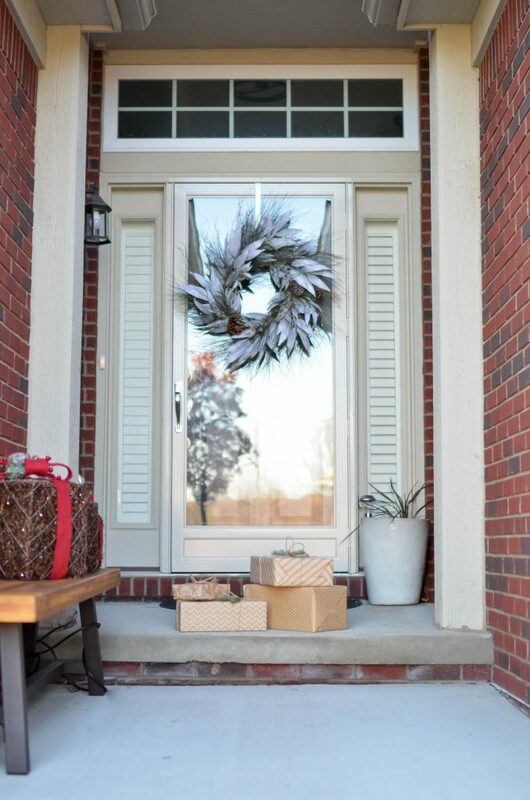 Some sparkle and glitter will make it a little more festive of course. No access to real branches and leaves? Although I am a big fan of the natural elements in any decor, sometimes using them is not feasible. 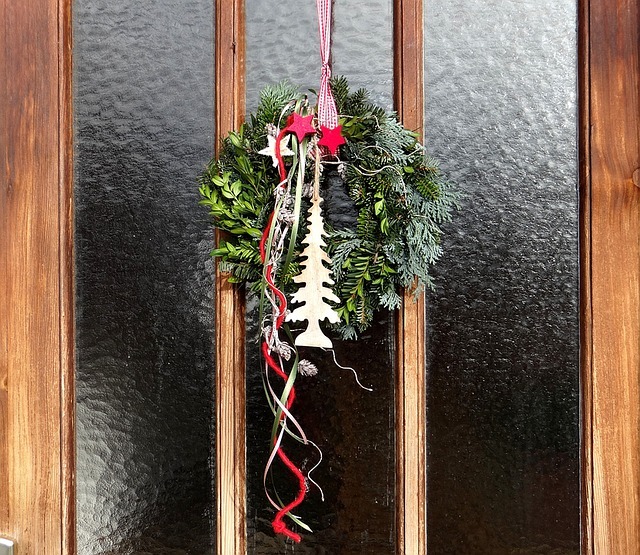 A wreath with an artificial garland and Christmas ornaments is easy to make; the advantage is that you can use it again and again. 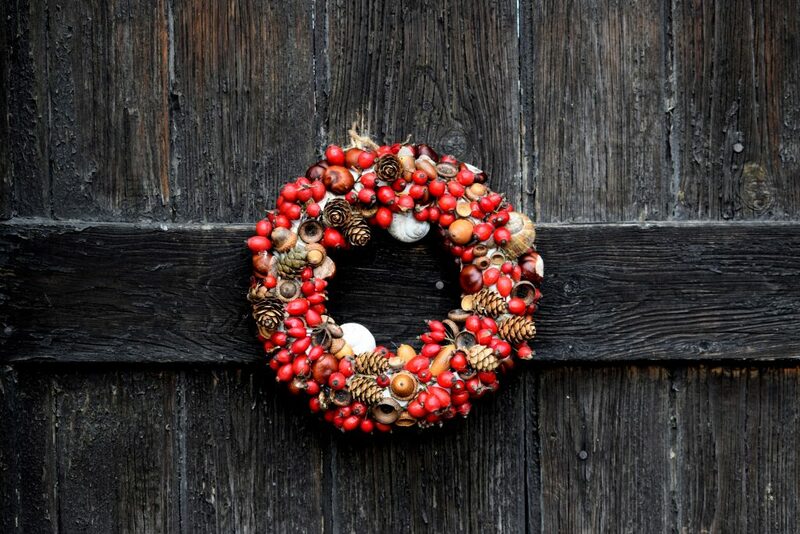 Or better, you can make a wreath with natural lasting materials, like cones, dried berries and seashells. Living in Florida, seashells, are my favorites! Come on, play with what speaks to your heart! 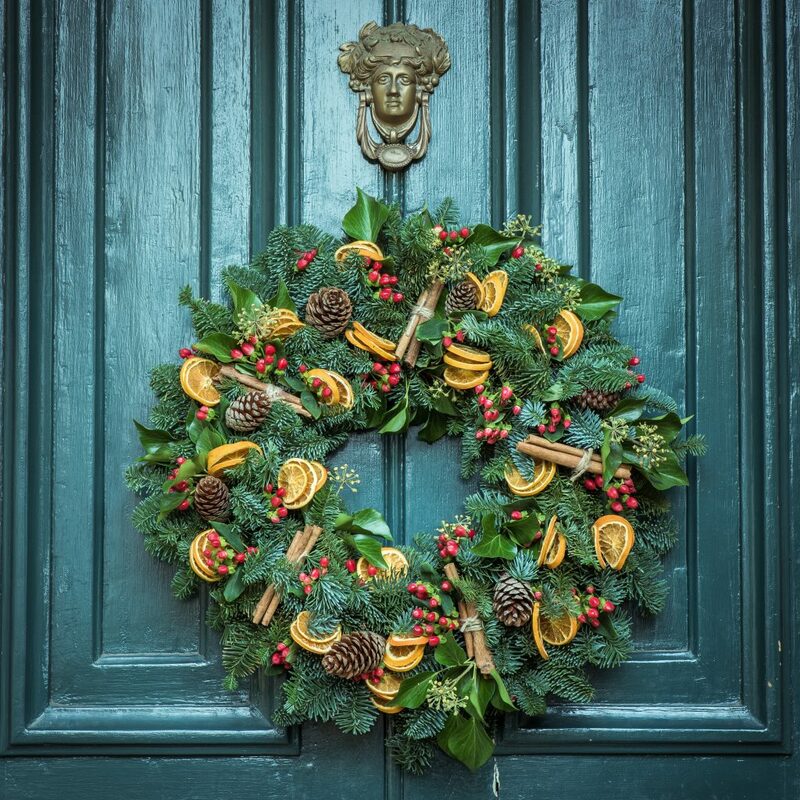 Isn’t it fun to discover the infinite possibilities in creating your own wreath and some of the rich symbolism behind this traditional art? 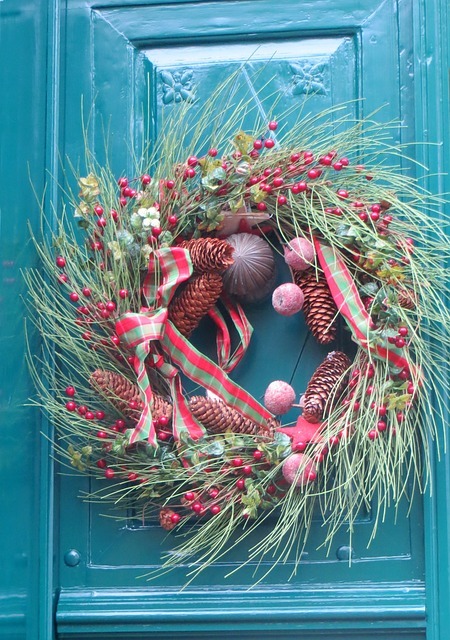 I don’t think I’d considered how many different ways there were to do a wreath.